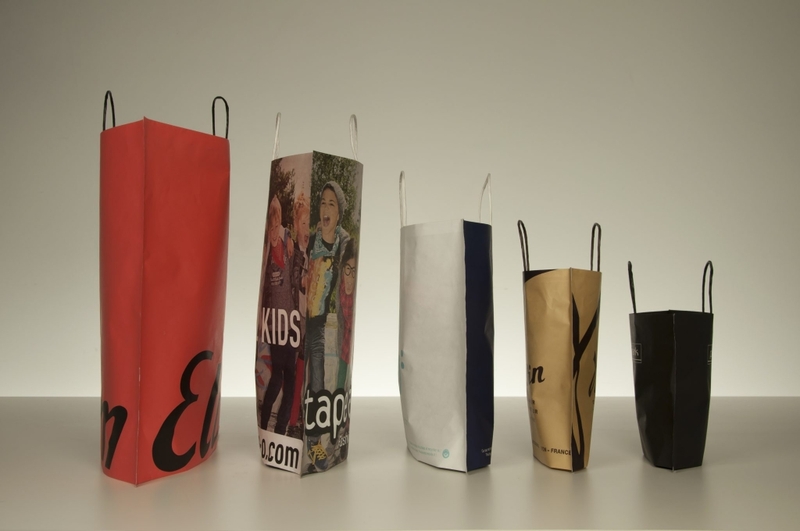 A new concept for paper bags, panoramic aesthetics, very resistant because it is made in one piece, without joints or joints in the bottom of the bag. 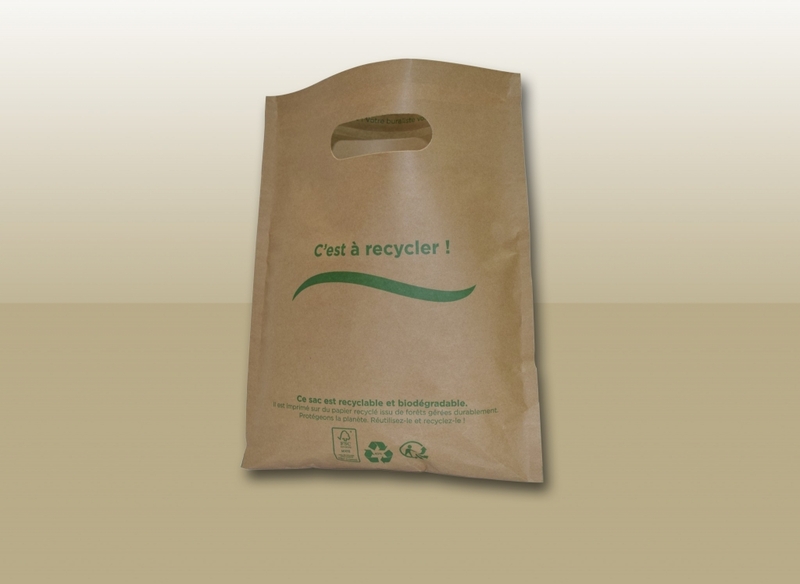 Can be produced with rounded corners and also with a flap + handle to make it completely airtight. 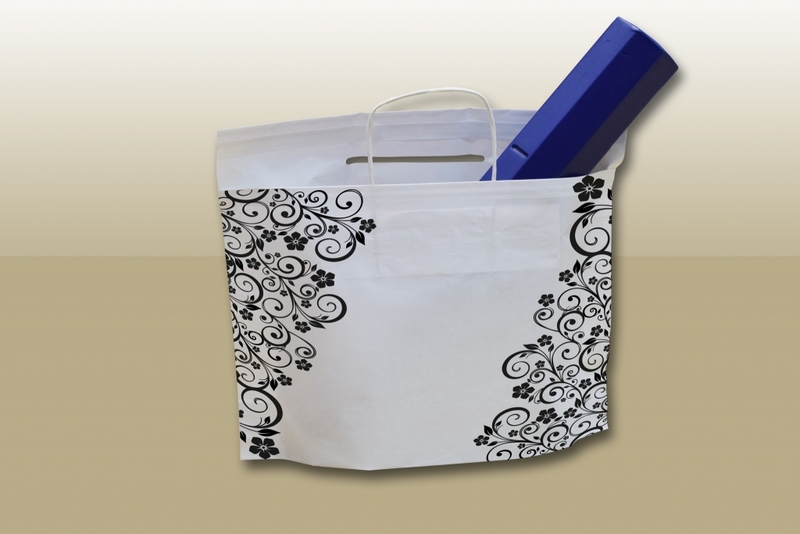 We can make them both with loop handles or die cut handles with reinforcement. 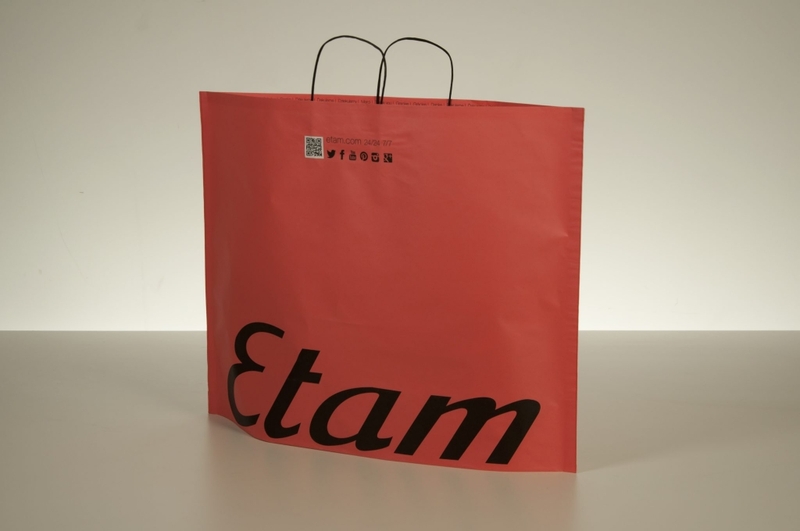 A new style very suitable for fashion stores where the volume of the bag fits very well with that of clothing.